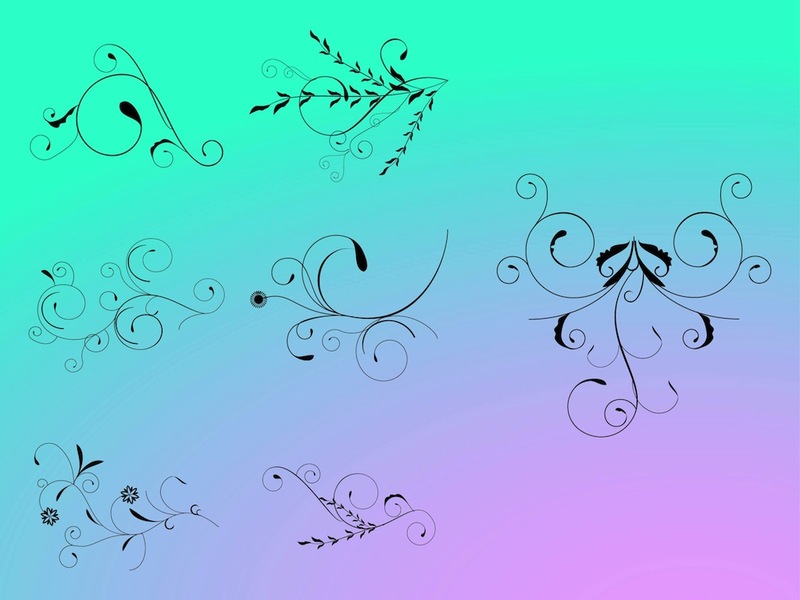 Vector image collection with many decorative designs. Swirling flowers with abstract petals and blossoms, different shapes and sizes of the leaves and the stems. Abstract vectors for all spring and nature designs. Free vector graphics for your posters, wallpapers, greeting cards and clothing prints. Tags: Flowers, Leaves, Nature, Ornaments, Plants, Scrolls, Spring, Stems, Swirls.